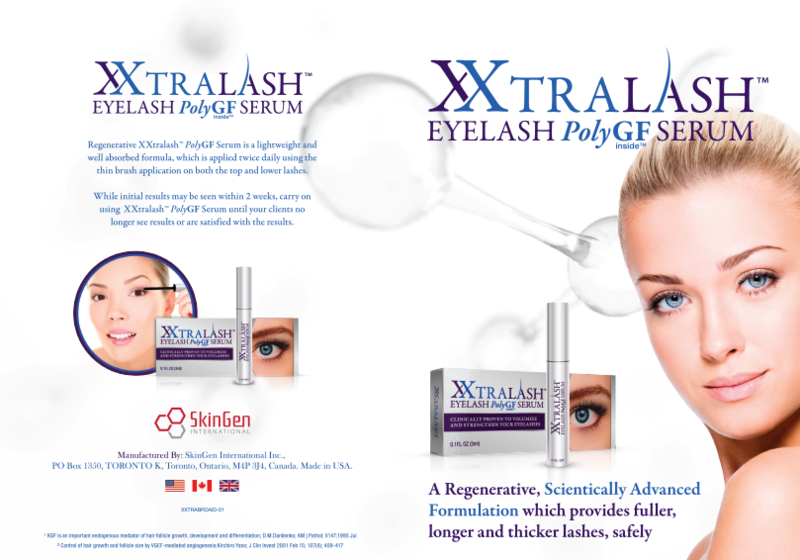 Regenerative XXtralash™ PolyGF Serum is an eyelash serum that improves your lashes by making them appear thicker, fuller, more beautiful with or without mascara. After years of research and development, the secret to more beautiful eyelashes is finally available without a prescription. Utilizing Growth Factor & Stem Cell technology, this revolutionary serum will allow you to obtain more beautiful, healthier and more vibrant eyelashes. Regenerative XXtralash™ PolyGF Serum is easy to use, the results are clinically proven, and there is no need for a prescription. While results may vary, 100% of the panelists tested showed a significant satisfaction. This is not mascara, this is not eye makeup. 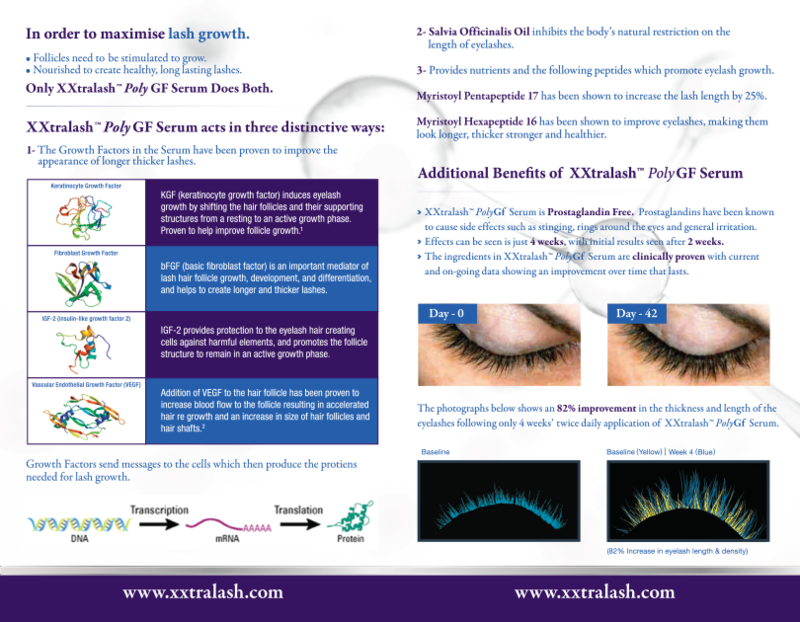 Regenerative XXtralash™ PolyGF Serum will help you obtain the lashes you’ve always dreamed of. Effects can be seen is just 4 weeks, with initial results seen after 2 weeks. The ingredients in Regenerative XXtralash™ PolyGF Serum are clinically proven with current and on-going data showing an improvement over time that lasts.